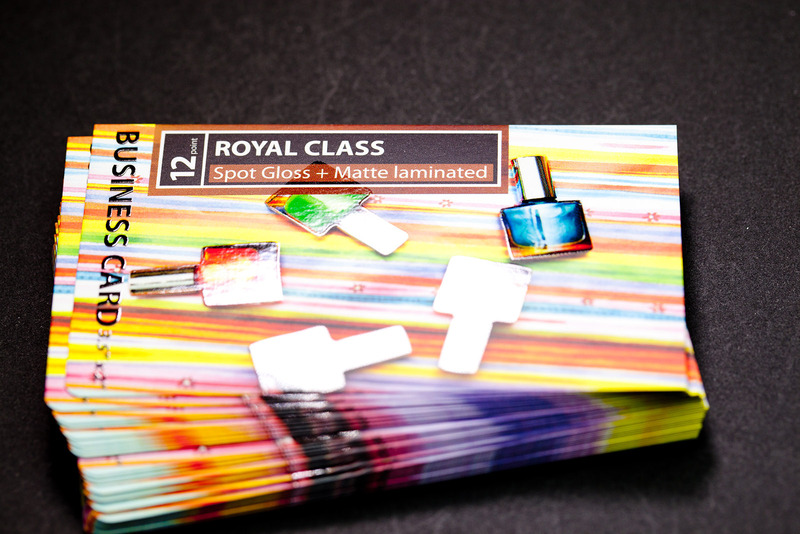 The Royal class finish is basically a combination of both the matte lamination and flood gloss varnish. 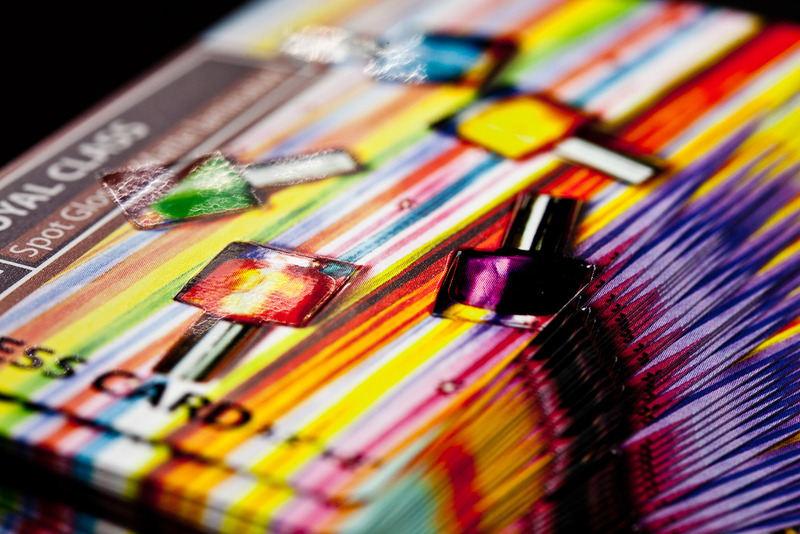 You can choose specific elements in your design to apply the gloss, allowing those elements to “pop”, and literally shine! Check out the SPOT UV additional feature for more information.